The joy of folklore is that it can be discovered and enjoyed at any age! 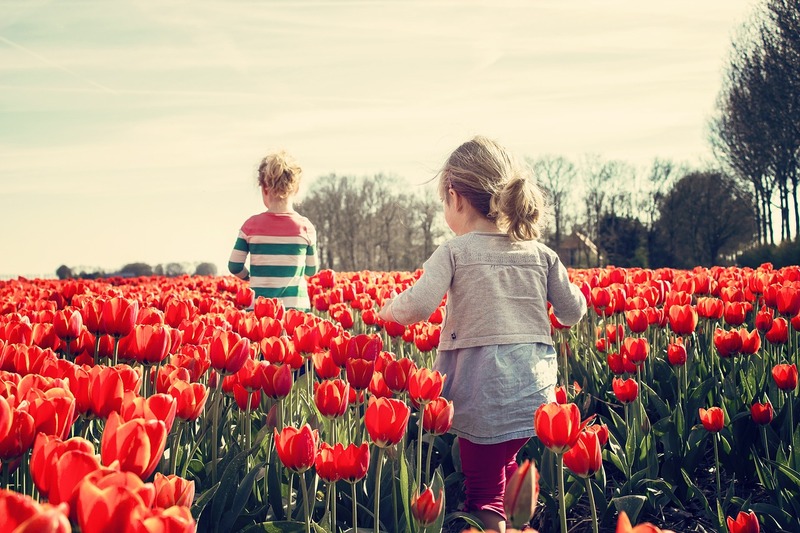 Kate Boughton (@bigsmallfolk) shares some fun activities to get children excited about and involved in different aspects of folklore. I’ve put together ten practical ideas to engage children in folklore that are tried and tested on my own small folk (age 9 and 7) and that are equally good fun for the big folk in your family, too! From a very young age, most children will become acquainted with traditional fairy tales such as ‘Cinderella’ or ‘Sleeping Beauty.’ Sharing a story with children is such a simple pleasure, but if you find that adulthood has eroded your memory of the timeline of events in ‘Rumpelstiltskin,’ or if you can’t quite recount how the witch in ‘Snow White’ meets her end, you can always turn to trusted books like the Ladybird series to help you tell your tale. You can also find everything from Grimm’s fairy tales to Aesop’s fables on websites like www.storynory.com. Once children are past the age of enjoying nursery rhymes in their purest sense, it’s great fun to delve into the real meanings behind them. Some are well known – ‘Ring o’Roses’ is often linked to the Plague (although this is disputed by many) – whilst others, like ‘Pop Goes the Weasel,’ provide a fascinating glimpse into our domestic and social past. There are some great resources to help with this, not least The Oxford Dictionary of Nursery Rhymes by Iona Opie. My own small folk have long been enchanted by a ‘fairy trail’ (a footpath) near our home. As we walk through it we look for cobwebs (sewn by fairies), feathers (fairy sweeping brushes), and mushrooms (fairy chairs, of course!) In our neighbouring village, a fairy tree can also be found, where people often leave gifts and flowers for the fairy folk. If you don’t have an adopted or communal place to visit the fairies, you can always create a fairy trail in your garden adorned with solar fairy lights, or even in your home by investing in your own fairy door. Children love the familiarity of annual celebrations like Christmas and Halloween, and through school will take part in marking calendar customs like Harvest Festival and May Day. Why not explore with them the deeper meanings of these celebratory days and festivals? There is a whole wealth of resources when it comes to helping children understand why we hang stockings up on Christmas Eve or why we toss pancakes on Shrove Tuesday. A good place to start is to invest in a folklore reference book (like the Oxford Dictionary of English Folklore by Simpson & Roud). Or, of course, the internet can be used to find out more about calendar customs through sites such as www.projectbritain.com. 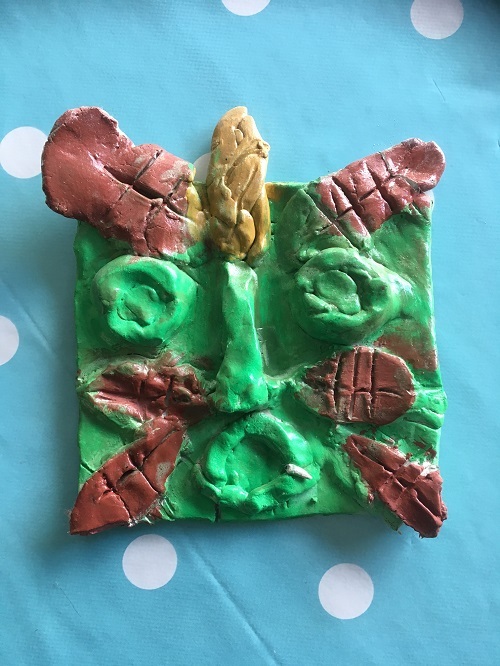 Recently, my daughter felt inspired her to make her own Green Man tile, based on the Green Men she found carved into the wood and walls of Southwell Minster. This was a brilliant way for her to better understand the significance of the Green Man in folklore past and present. And, best of all, it’s left me with a fabulous piece of childhood craft to treasure. How about making a mini maypole with colourful, flowing ribbons, or some shadow puppets that tell the tale of Baba Yaga? Have a trawl through Pinterest for thousands of craft ideas! So many childhood books contain links to folklore and magic, which is part of their long-lasting appeal to generation after generation of readers. It’s fascinating to explore the origins of the myth and magic alluded to by authors such as JK Rowling. My children were thrilled to discover (through a recent BBC documentary) that the screaming mandrakes grown by students at Hogwarts are based on the real-life mandrake plant that long been associated with medicinal magic. An exhibition – Harry Potter: A History of Magic – ran until February 2018 at the British Library to encourage families to explore this very topic. There are endless opportunities to see folk performances around the UK – and many cost absolutely nothing to enjoy! From watching morris dancers and listening to traditional storytellers, to witnessing some of the more quirky folklore events of the year such as the Padstow Obby Oss celebrations or the Gloucestershire Cheese Rolling at Cooper’s Hill, there are lots of ways that families can see folklore in action. Look out for more low-key local celebrations too that may not be widely advertised. Annual events like May Day dancing, Plough Sunday plays, and wassailing are all likely to be taking place not too far from your doorstep and are great fun for children to watch. Folklore is everywhere! Here in Britain, we are particularly lucky to have an abundance of fantastic family days out that take children right into the heart of myth and magic. From playing outlaws in Sherwood Forest to exploring Old Mother Shipton’s Cave to climbing up the Glastonbury Tor, there are so many experiences that can stir wonder and enchantment for all ages. Last summer, my family and I went camping in North Yorkshire. In between the rain, we enjoyed a guided nature walk with an expert who knew all the traditional names for flora, fauna and wildlife – it was a wonderful experience for all ages! There are some brilliantly barmy names for wildflowers like ‘Jack in the hedge,’ ‘bogbean,’ and ‘fairy flax,’ as well as interesting etymology for bird and animal names. For example, did you know the magpie was once known as maggoty pie? It would be fun – and actually rather useful – to research some of these names and help children to recognise the plants, birds, or animals that they allude to. Most families will have at least one recipe that has been passed down through the generations. We have a family Christmas pudding recipe that is dutifully replicated every year. It is only with the passing of time – and precious people – that you realise how wonderful it is to have family recipes that evoke happy memories. Share these recipes together and reminisce about the stories behind them. Even better, collate the recipes into a scrapbook which can be added to and kept for future generations. Of course, this is just a selection of ideas – there are many more folklore activities that can be explored such as playing traditional games or foretelling the weather through weatherlore. For older children, I’d also advocate embracing the enthusiasm of folklore fans through social media hashtags like the fantastic #FolkloreThursday. Discovering small snippets of topics is often all it takes to spark a lifelong curiosity in young (and older) folklorists. Enjoy together! Kate Boughton has loved folklore since she was small, and is particularly fascinated by all things strange and spooky. She has a degree in English Literature from the University of Sheffield, part of which involved studying at the National Centre for English Cultural Tradition (NATCECT). 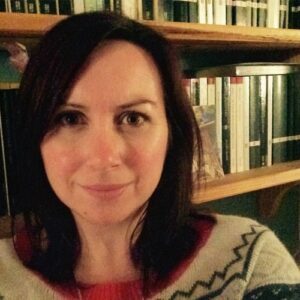 Inspired by this and by her own small folk (age 9 and 7), she now shares her passion for folklore through her blog, Big Folk for Small Folk, which is aimed at young enthusiasts and their families. She lives in Southwell in Nottinghamshire.